One of the unique aspects of the Irish Museum of Modern Art is its location within the historic building and grounds of the 17th-century Royal Hospital Kilmainham. 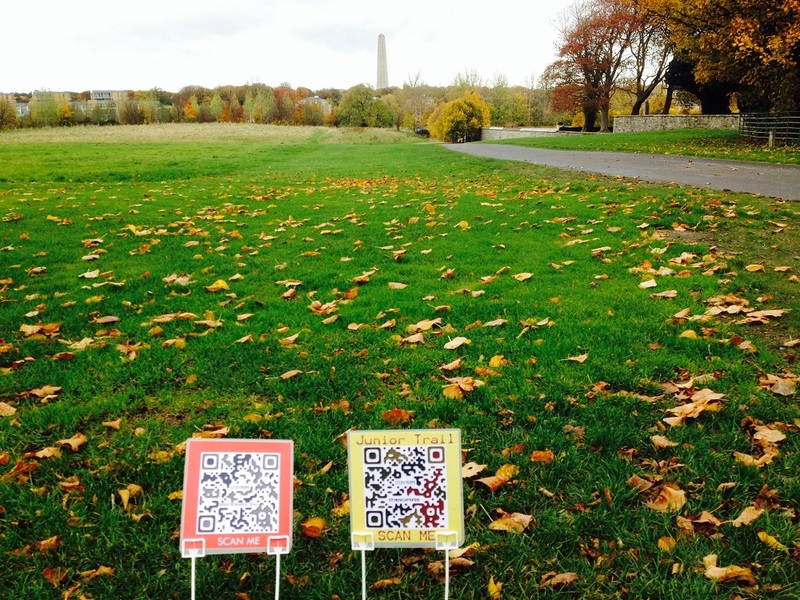 At the end of 2013, through a project called DECIPHER, there was a great opportunity to explore the grounds and focus on the many stories, artworks, and items of interest related to IMMA’s site. 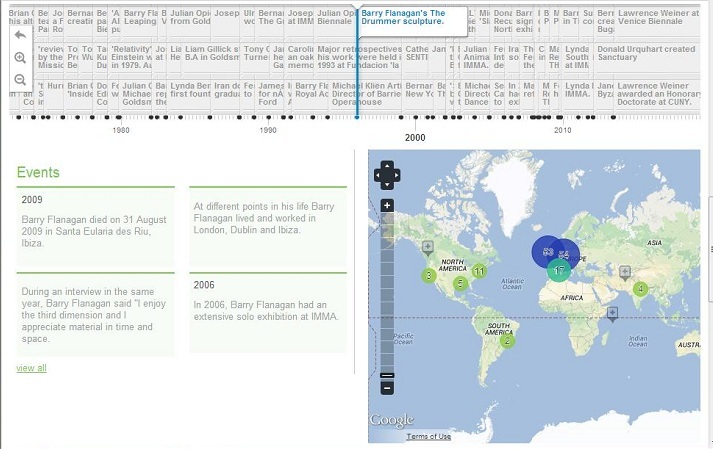 DECIPHER was a three year EU funded research project (2011-2013), in which IMMA was one of seven partners. Dublin Institute of Technology coordinated the consortium partners in the development of prototype software, Storyscope. 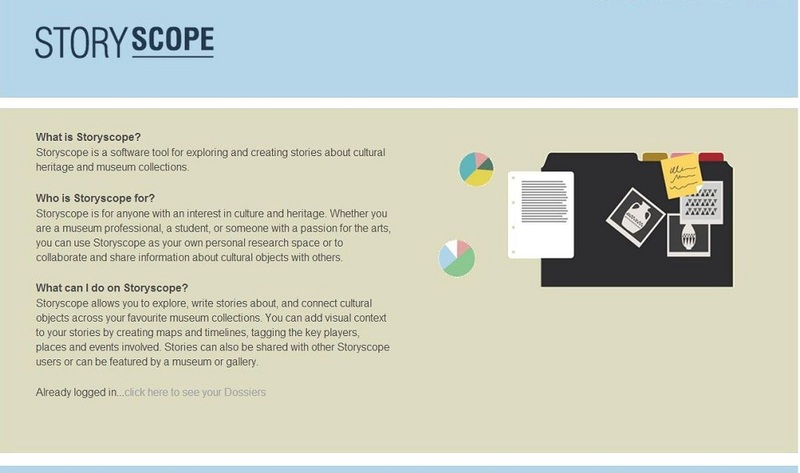 Storyscope aims to enable users to explore and create stories about cultural heritage and museum collections. 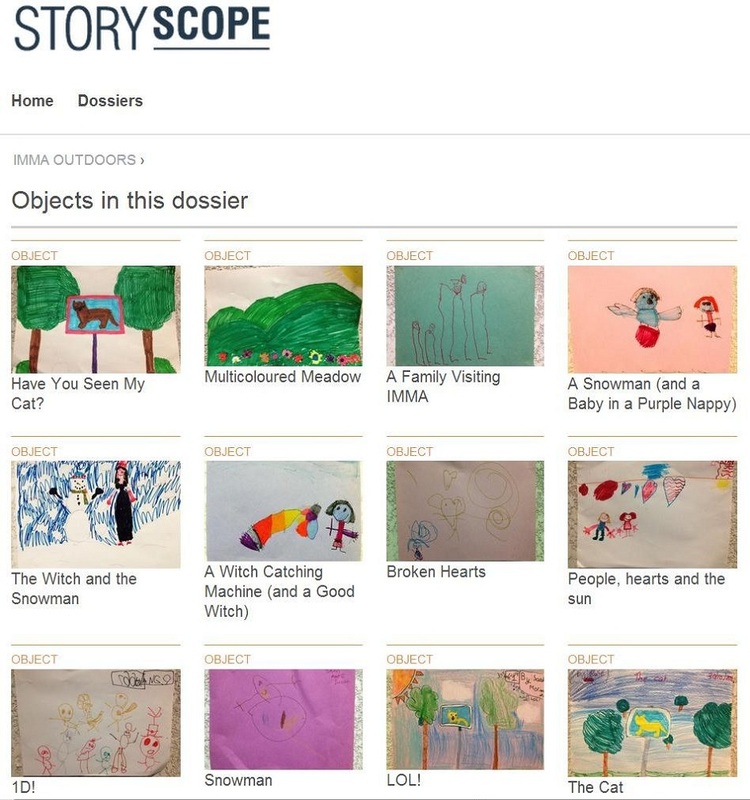 Storyscope provides tools to gather together, analyse, and visualise information, and users can present and publish their resulting narratives as a microsite. 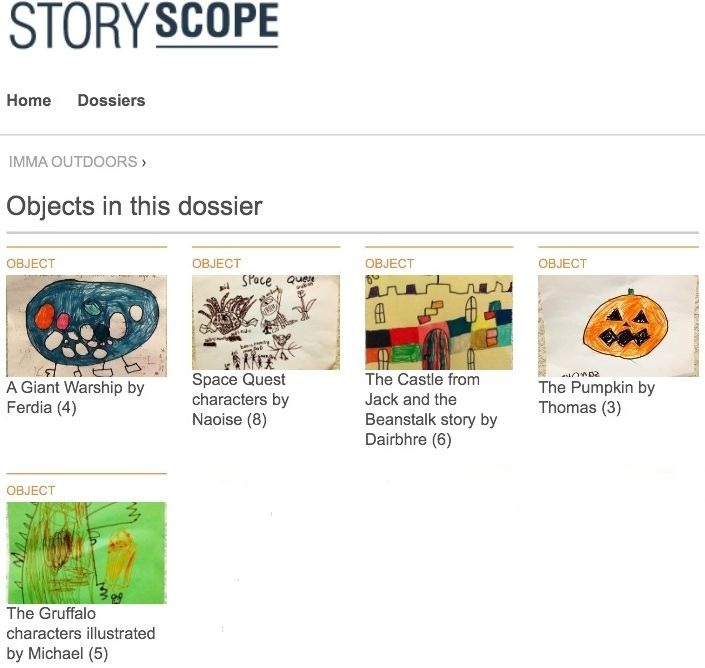 Through 2013, the National Gallery of Ireland led the trials of Storyscope, involving a variety of museum professionals, college and school groups, and the general public. At IMMA, DECIPHER researchers Dr Danielle O’Donovan and myself, Mark Maguire, were mainly interested in trying out Storyscope’s microsite with IMMA’s visitors. We saw the microsite as an engaging entry point for the general public, through which they might become interested enough to explore further the content within Storyscope from which the microsite had been generated. We posited that this could be the potential start of a new cycle of content and narrative generation, as users then created their own stories and microsites, using Storyscope’s research and authoring tools. Initially we thought we would create a mobile experience for museum visitors, where they could access additional information about artworks using Storyscope on their phones or tablets while onsite at IMMA. However for a large part of the DECIPHER project, IMMA’s main building was closed to the public for renovations (reopening in mid-October 2013). As a result, we made the decision to refocus on Collection artworks and places of interest outside the museum building and in the spacious meadows and gardens of the Royal Hospital. We thought that Storyscope could reveal some of the layers of history represented in objects and places around the IMMA grounds. 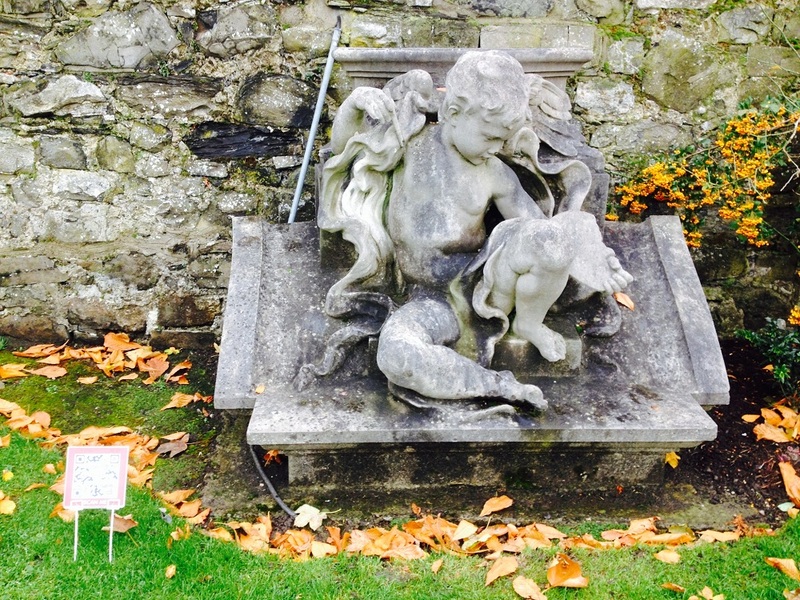 For example there are three stone putti now in IMMA’s gardens, which were once part of a large memorial to Queen Victoria. The memorial was in Dublin (i), in front of the building that later became the Irish parliament. After Irish independence the royal memorial was disassembled. The memorial’s components were stored initially at the Royal Hospital. Queen Victoria’s statue has since been sent to Australia as a gift from the Irish Government. 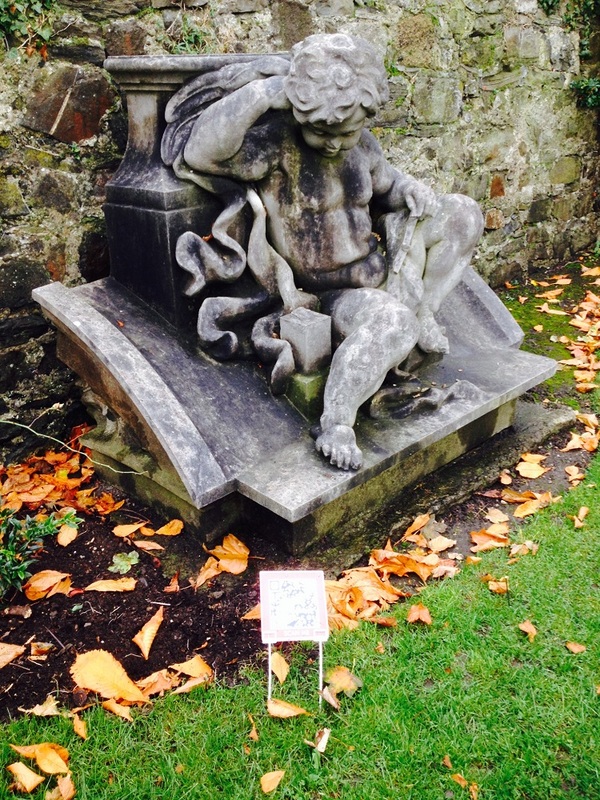 But the putti remained at the Royal Hospital, which became home to the new IMMA in 1991. In order to connect visitors with stories like this on Storyscope, we used QR codes. 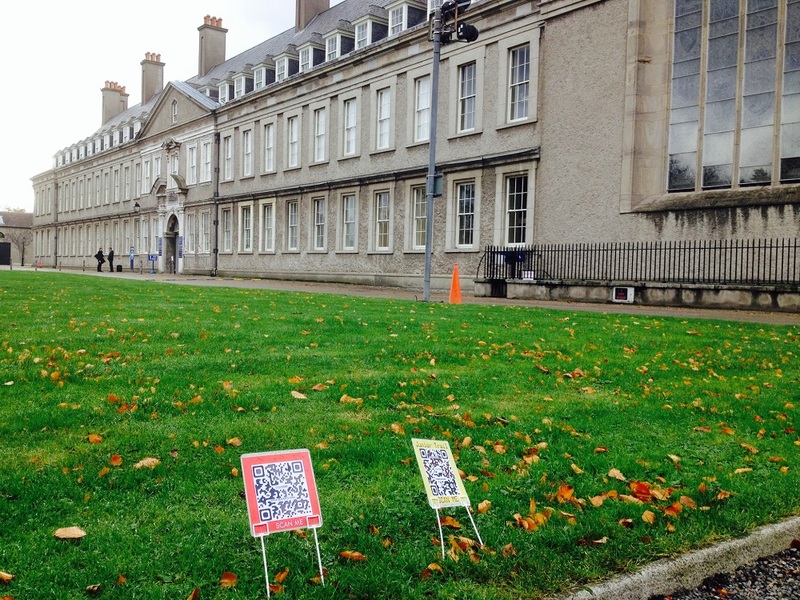 The QR codes were positioned at 26 points of interest around the meadows, gardens and architecture of IMMA’s buildings. Visitors with a 3G enabled mobile phone or tablet, and a QR reader app, could scan the respective codes and access relevant information about the artwork or place where they were standing. 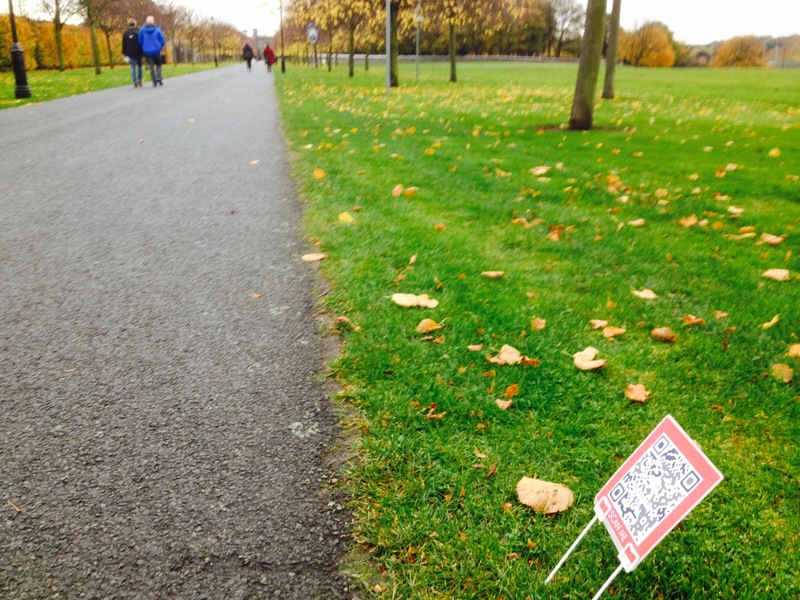 The use of QR codes is a source of some debate within business, marketing and museum circles. 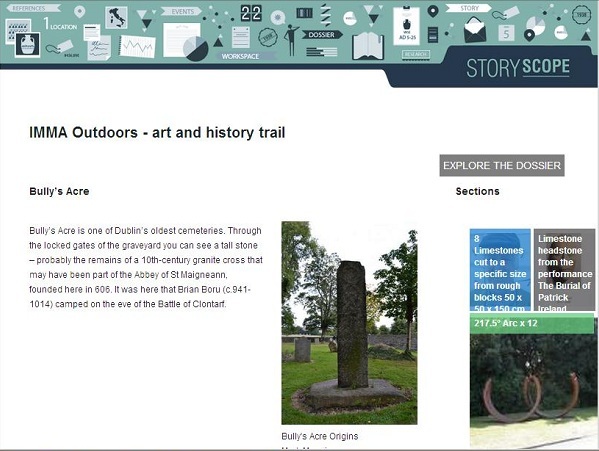 The essential point of using the QRs in this particular instance was that they allowed visitors with smart phones to access Storyscope’s digital content outdoors. ● Augment actual objects with contextualising images – such as standing at the grave of Vonolel (ii) the warhorse, visitors could see an image of the horse when alive with Lord Roberts in saddle. Or, in front of Patrick Ireland‘s headstone, which features the Ogham alphabet, visitors could see an image of Ogham inscribed on rocks in Dingle and read about that alphabet. 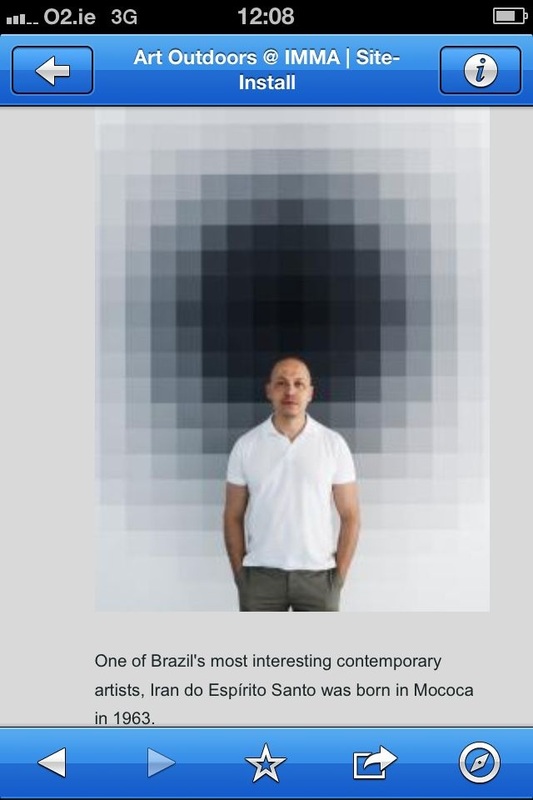 ● Draw attention to the contemporary artworks situated around the grounds of IMMA (iii). We also had access to a very basic version of the software intended for children – ‘Storyscope Kids’. However this version has a lot of potential for development, although not within the duration of the DECIPHER project. We uploaded the drawings and pieces of writing made by younger visitors during the Storyscope trials at IMMA. As the trials took place between Halloween and Christmas there were a few pictures with witches or snowmen (and sometimes both). One of the best experiences in this part of the project was engaging with artists and photographers. Many of those we contacted regarding images provided us with additional visual material such as portraits or alternative views of artworks. We were very grateful for this interest. If you are interested in the outcomes of the DECIPHER project, over the next few weeks it is worth checking in on the project website where there will be some final updates, including links to the public demonstrator version of Storyscope, and for the more technically-interested, the open repository related to the software. (iii) Refer to the on-line IMMA Collection for more information on the artworks included in the Storyscope trial by artists Michael Kliën, Donald Urquhart, Janet Mullarney, Susana Solano, Lynda Benglis, Gary Hume, Julian Opie, Liam Gillick, Michael Warren, Barry Flanagan, Iran do Espírito Santo, Edward Delaney, Ulrich Rückriem and James McKenna. Previous Marguerite O’Molloy on Sarah Browne’s project currently installed at IMMA.